A piece of mine has appeared in the Times regarding the recent ECHR ruling on the Prinkipo Orphanage. You can read it here, although the website is no longer free, so you’ll have to subscribe (I think there’s a free trial). There is also a good piece in Hurriyet Daily News on the same subject, which you can read here. The current AK Party government has done more than any of its predecessors to improve the legal status of the country’s religious minorities. However the problems facing the Patriarchate of Constantinople are also demographic. With as few as 2,500 Greek Orthodox Christians remaining in Turkey, the church is sustained within a tiny pool. It relies heavily on support from the wider Orthodox faith, and Turkey’s acceptance of its long-denied ecumenical status and allow it recruit clergy from abroad, it would be a major step towards ensuring its survival. 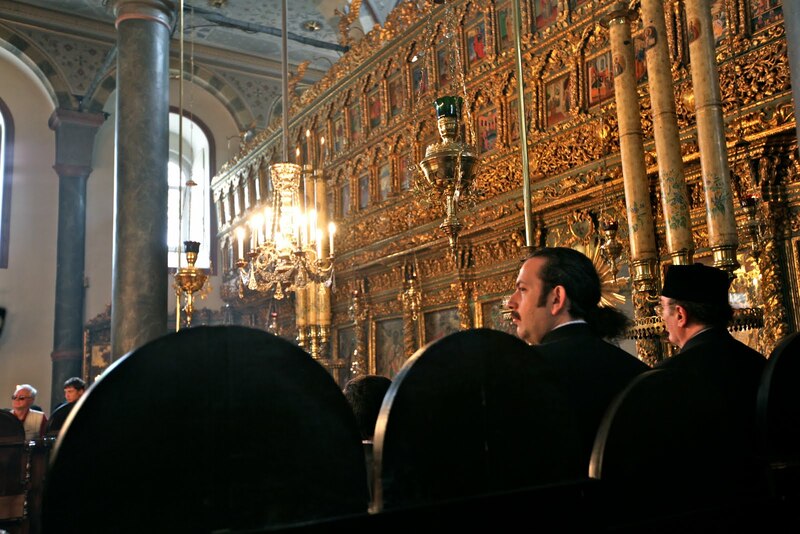 The attached picture is from a service at its main Cathedral of St George at the Patriarchate headquarters in Istanbul’s Fener district. Tourists (mainly Greek) overwhelm the dwindling native congregation. In 2009, more than half a million people visited the headquarters on organized tours alone. A visit drives home the realization that while the roots of this institution in Turkey may be withering, those supporting it from abroad are alive and well. If Turkey can overcome its innate xenophobia (particularly towards anything Greek) and realize what an asset it is to have a Christian institution of worldwide significance within its borders, then it has nothing to lose, and everything to gain. 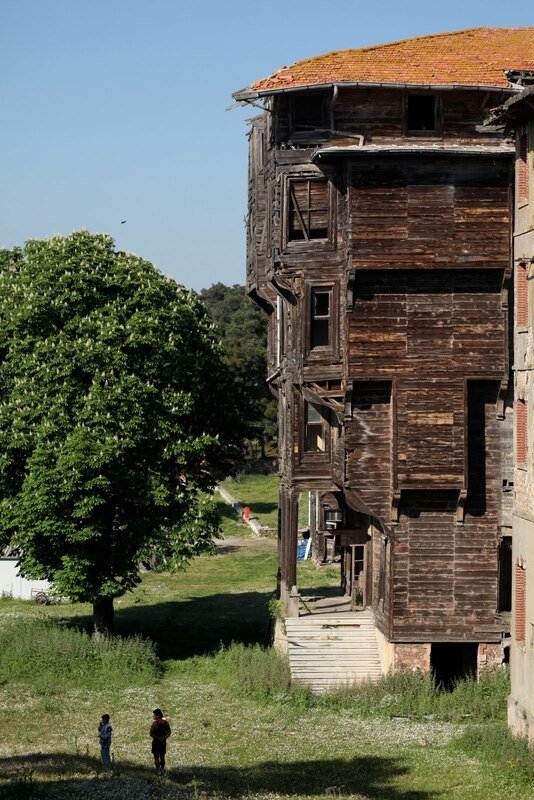 In an important ruling yesterday the European Court of Human Rights ordered Turkey to return the vast former orphanage on Buyukada, the largest of the Princes’ Islands in the Sea of Marmara, to its rightful owner, the Ecumenical Patriarch of Constantinople. I’m currently doing a piece for www.Eurasianet.org on the orphanage, and the importance of the ECHR ruling in the wider context of the long-running persecution suffered by the Patriarchate at the hands of the Turkish state. The largest wooden building in Europe, and the third largest in the world, it is six stories high and more than 100 metres long. Imposing yet graceless, it has been slowly decaying since it fell into disuse in the 1960s. It was originally built by a French architect in 1898 as a hotel and casino, and was eventually given to the Patriarchate to be used as an orphanage after the Ottoman Sultan refused to grant permission for the casino. There is something monstrous and ill-advised about the building, (only a small portion of which is seen in the picture above), as if someone had decided to build an airport terminal from wooden planks. I get the feeling that the architect, Alexandre Vallaury, in seeing just how far he could push the genius of Ottoman wooden architecture, nudged it into madness. It is now locked up at the top of Buyukada within its rusting boundary paling, which has been reinforced with old bedsteads, against which the heads of orphans presumably once rested. The children of the caretaker (seen in the picture above) who grazes his sheep and chickens in the grounds, apparently have the run of the place, which must qualify it as one of the best private playgrounds imaginable. A spokesman for the Patriarch told me that they want to turn it into a centre for religious study, ecology, and interfaith dialogue. To me it looks beyond repair. Incidentally, it is often described as the second largest wooden building in the world: this is incorrect. The world’s second largest wooden building is the Todai-ji Buddhist temple in Nara, Japan, often wrongly assumed to be the largest. Banally, the often-overlooked winner is a former aircraft hangar in Tillamook, Oregon. Who will profit from this wave of anger? There has been some thought-provoking comment by longtime observers of Turkish politics over the past week, reflecting on what appear to be tumultuous times. Any of the posts and links on Yigal Schleifer’s excellent Istanbul Calling blog are worth reading, as is Andrew Finkel’s already much-cited op ed in last Sunday’s Zaman. Also check out a new blog by Aengus Collins, which has a good piece reflecting on the fallout of Israel’s deadly raid on the Mavi Marmara. All these observers touch in various ways on the fact that the raid appears to have thrust Turkey’s Islamist fringe onto centre stage. The hitherto unknown IHH charity has organized ceaseless rallies around Istanbul, as has the Islamist Saadet Party. In her Kamil Pasha blog, Jenny White describes the humanitarian aid group as the ‘new gorilla in the room’ of Turkish politics, which the AKP has nurtured at its own peril. Yigal Schleifer has this interesting piece on how the charity came to flourish under the current government. You can read the article James Hider and I wrote last week for the Times about the IHH here, in which we examine Israel’s allegations regarding its ‘terrorist links’. While covering the events of the past week I have been struck by a feeling of inertia in the country. The AKP government has torn up its carefully cultivated ‘zero problem’ foreign policy (goodwill to all, trade with all etc), and risks forfeiting the role it covets as a bridge between Islam and the West. But has the government done this willingly, as some claim? In the face of public fury and anti-Israeli sentiments, it certainly needs to seem willing and able to tear up its ties with Israel, but does it really want to? Prime Minister Recep Tayyip Erdogan and Foreign Minister Ahmet Davutoglu are riding the tidal wave of public anger as if in triumph, but I’m not so sure they know where it’s taking them. Asides from the recalling of the ambassador and the cancelling of some joint military exercises, Turkey has yet to offer any tangible rebuff to Israel other than fiery rhetoric. Turkish-Israeli military, economic, and political ties are real, and valuable to Turkey’s standing in the world beyond the Middle East. So here’s the feeling of inertia: no political force has yet to capitalize effectively on the monumental public anger here. The government hasn’t, and the nationalist opposition is looking timid and irrelevant. 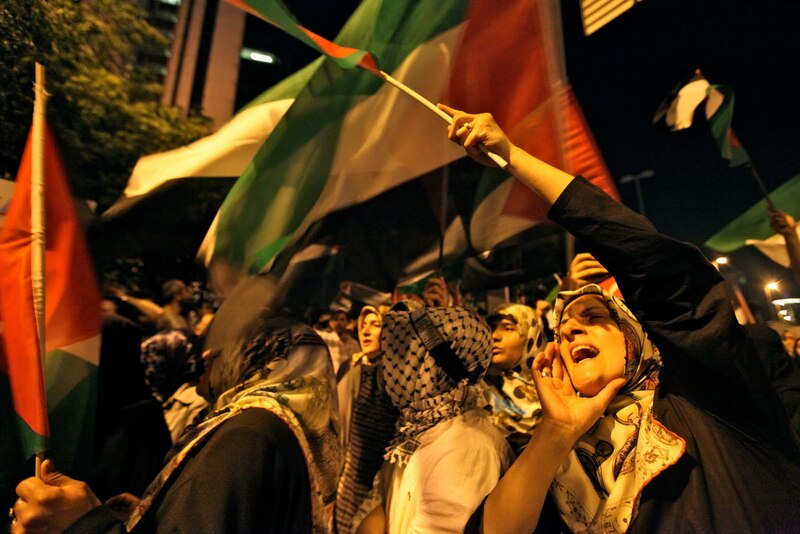 A poll at the weekend suggested 60 per cent of Turks are unhappy with the government’s response to Israel. Who will profit from this anger, and where will they take Turkey?